The Holy Spirit is more than an experience. He is the one who will come alongside every believer and help. 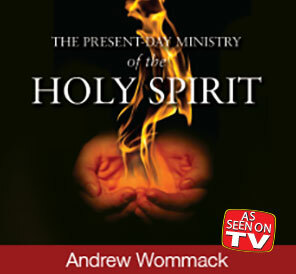 This in-depth teaching will help you answer the question: Just who is the Holy Spirit? If you have been lacking in power, and you know there should be more to your Christian walk, if you’ve wondered what these gifts of the Holy Spirit are all about, or if you're confused about the whole experience, then it's time to open up your heart. This series will help you understand what—or Who—you have been missing.